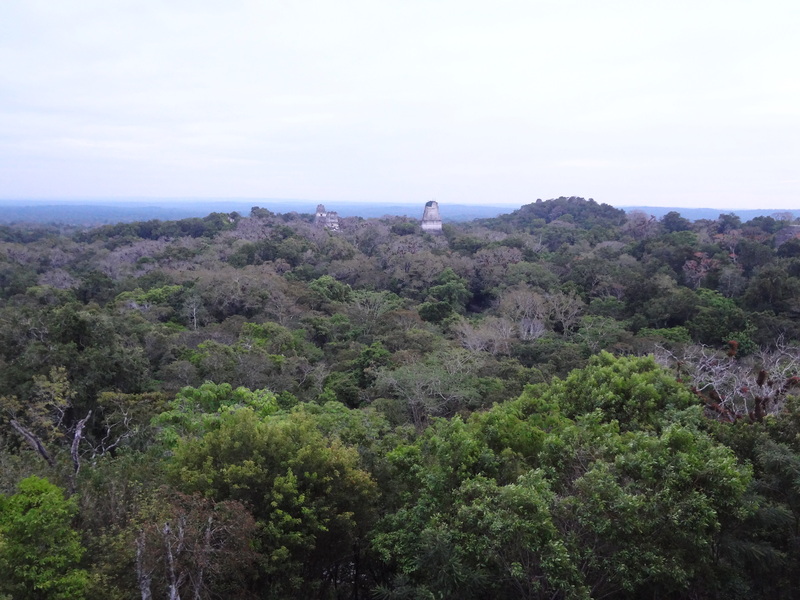 Tikal is an ancient mayan city, hidden in the jungle of Petén. It’s a mystic place of devotion and tranquillity. You can find a lot of people there meditating on order to find a balance between body and mind. A rutted, gravel road heads into the heart of the mayan world. The first scene that meets your eye when you enter the national park are the temples, rising high above the surrounding tropical jungle. I was overpowered by the scenery. 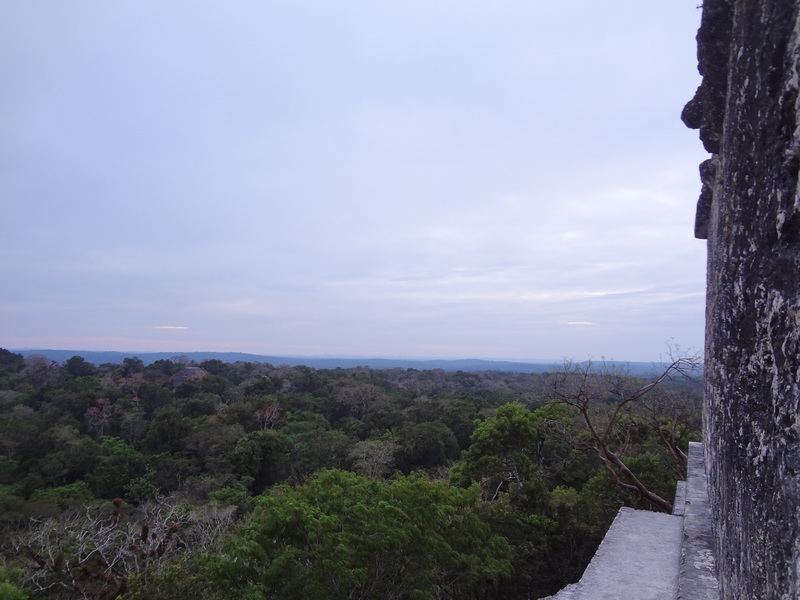 From the parking lot you can take an approximately one hour walk to the Gran Plaza, which forms the centre of Tikal. It’s framed by the majestic temples 1 and 2. It isn’t possible to get on temple 1, but on temple 2. A wooden staircase leads to the top of it. But the higher I rose into the air, the more it became clear to me that probably never a security check had been made on the somewhat wobbly construction. So you should have a secure step and no acrophobia. Those who finally reach the top of the temple are rewarded by a view of the world that they might have never seen before. This world is still a shimmering of maya. You find yourself transferred into a different era of ancient times. From the Gran Plaza, a narrow path leads through dense jungle to temple IV, which is the tallest in the city. The 65m high temple is impressive! The wooden staircase leading to the top of temple IV was extremely steep. But once you have reached it, the panorama is one of awe-inspiring majesty: An expanse of dense jungle fills the foreground of the picture extending to the far horizon. I was overwhelmed by the immensity of the greenery and intact nature. The rear part of the temple is still under construction, but the front is already renovated. It’s an amazing feeling, sitting there, watching the sunset. This exceptional location affords fantastic views in all directions. Jungle everywhere. On the way back to the hotel, I booked the so-called sunrise tour. As the name suggests, you can watch the sunrise from temple IV. I followed the guide through the jungle, small animals rustled everywhere and gleaming green glowworms were lighting our way through the darkness. Right in the middle of Gran Plaza, we stopped. The guide started clapping his hands, the vinicity trembled, and an echo from the past, caused by the reflection of the two temples, carried the sound of Guatemalas national bird, the Quetzal. 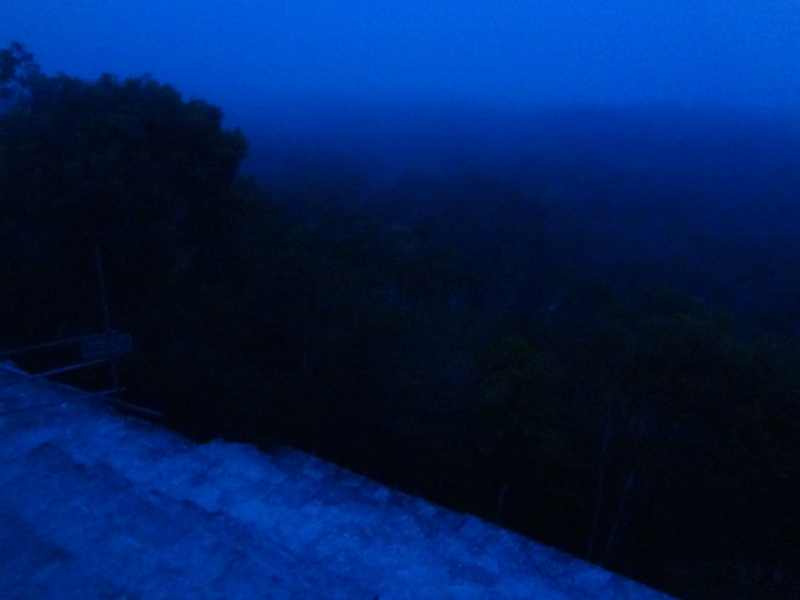 When we got up on temple IV again, it was still night, but soon a bright yellow strip at the horizon above the jungle already made one guess the beginning of a new day. 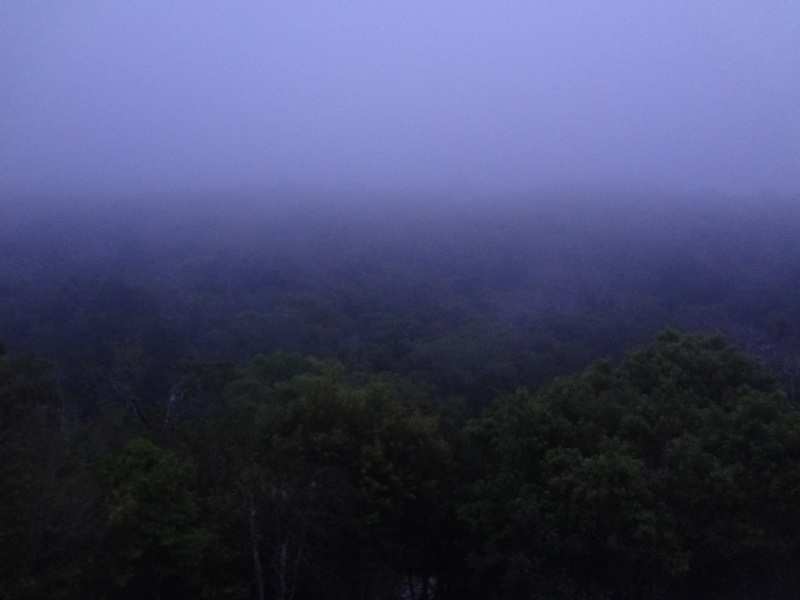 Just before sunrise, howler monkeys started to raise their voices. The mixture of howling and the melodious songs of exotic birds was amazing! It got louder and louder, but when the first rays of the sun touched the tips of the trees melting the morning mist, there was silence. Enraptured, I watched the fervid ball of fire rising over the horizon, its red gleam mirrored in the remaining fog. I climbed to the rear part of the temple, in order to satisfy my curiosity. There I saw them, two Quetzal, hidden among the leaves and branches, swinging with the treetop in the wind. It was a wonderful sight, their elegance radiated so much peace and confidence. I lost my way when I tried to walk back, but found some other, smaller, temples. Some spider monkeys accompanied me, throwing stuff from the treetops. 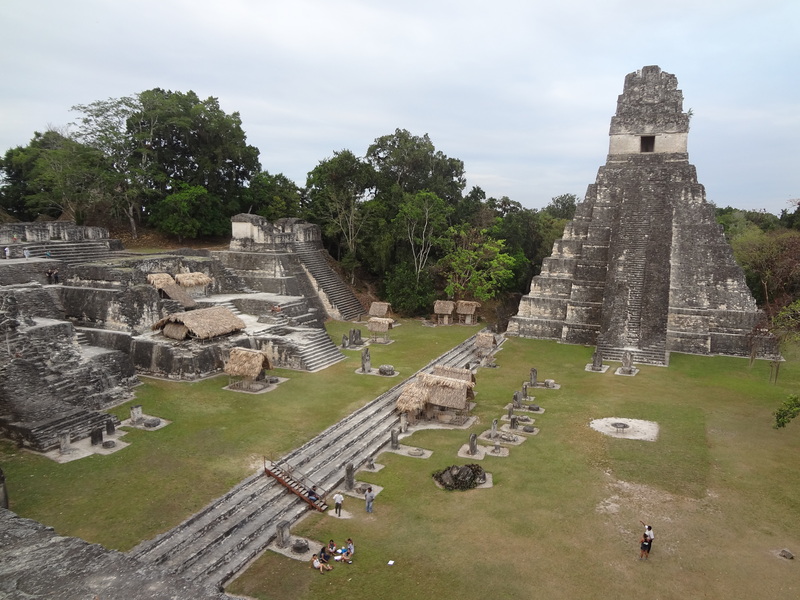 “If you haven’t been to Tikal, then you haven’t been to Guatemala,” said my guide. Yes and loved the walk through that amazing jungle! I will remember. 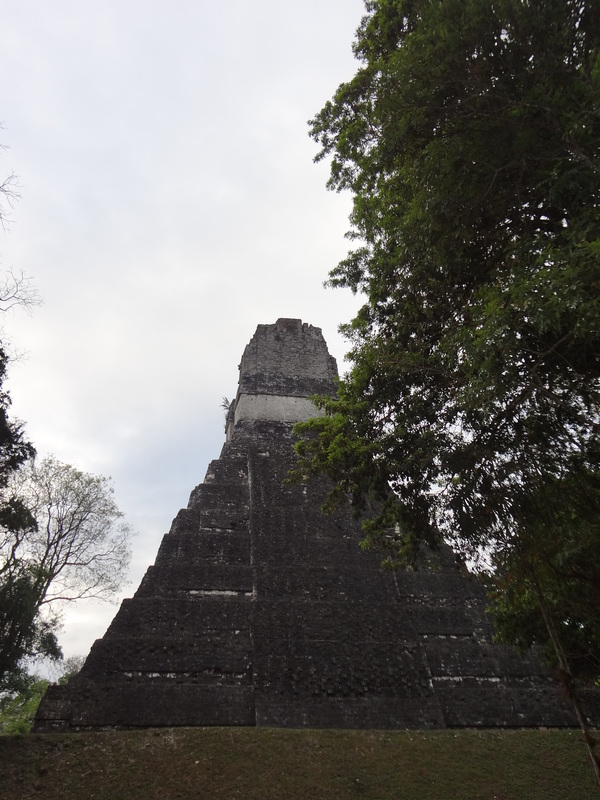 I was just there for a day trip to Tikal from Baleze.